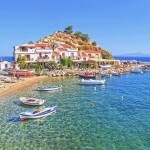 Skopelos is one of the greenest Greek islands and certainly proud of it. 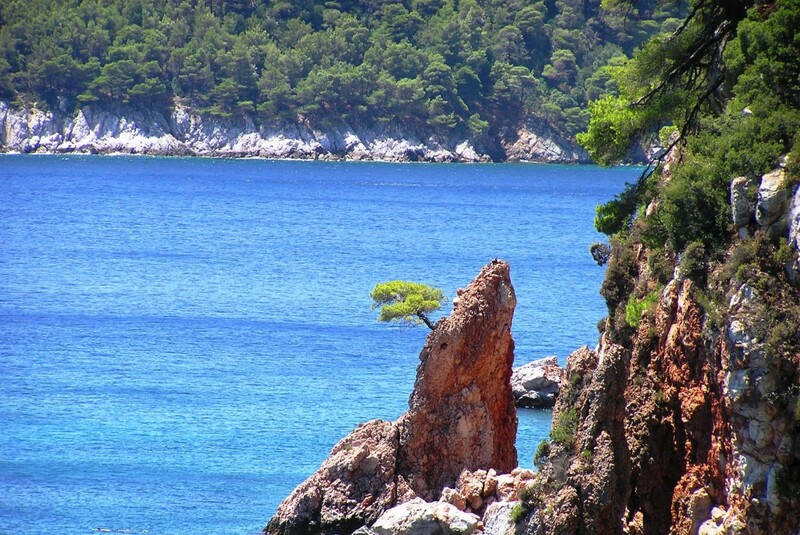 Nature is truly breathtaking in Skopelos, with virgin pine forests, olive trees, plum and almond orchards, as well as over sixty miles of coastline. The island’s sheltered, pebbly and sandy beaches with azure clean waters are its main attraction. 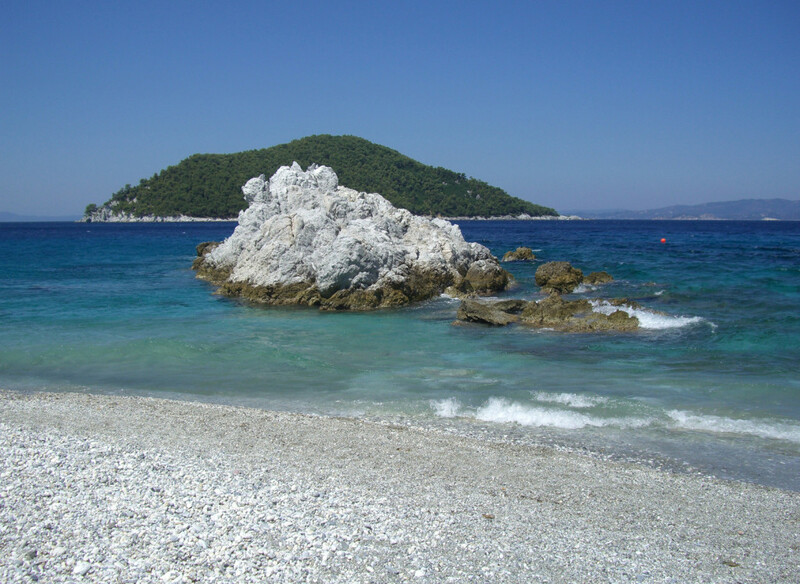 Skopelos is also a place of great ecological importance: its northeastern part belongs to the North Sporades National Marine Park –the biggest in Europe- together with Alonissos and nearby islets. 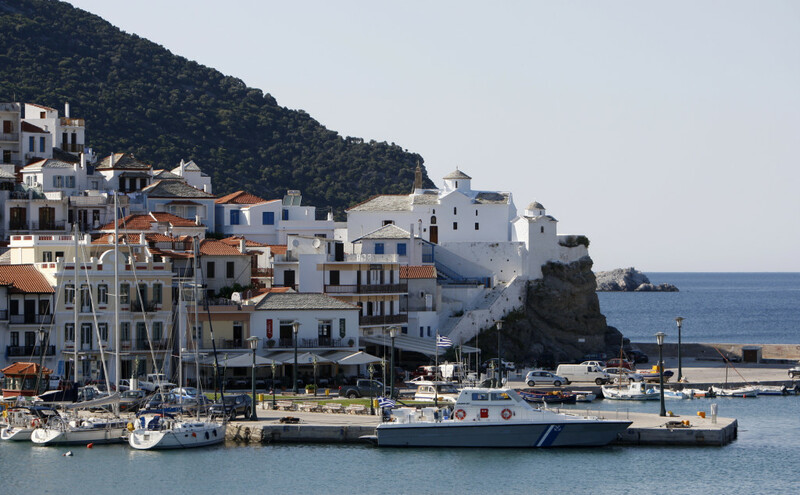 Skopelos became worldwide famous because of the movie Mamma Mia!, which was partly filmed here, but happily enough never gave in to mass tourism. It offers more than satisfactory facilities, easy-going nightlife and relaxing atmosphere. 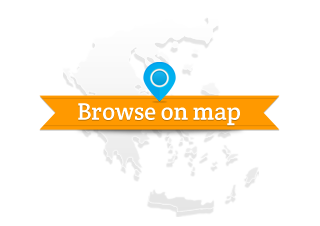 The island’s two major settlements -the town (“Chora”) and Glossa at the north- seem unchanged by time. 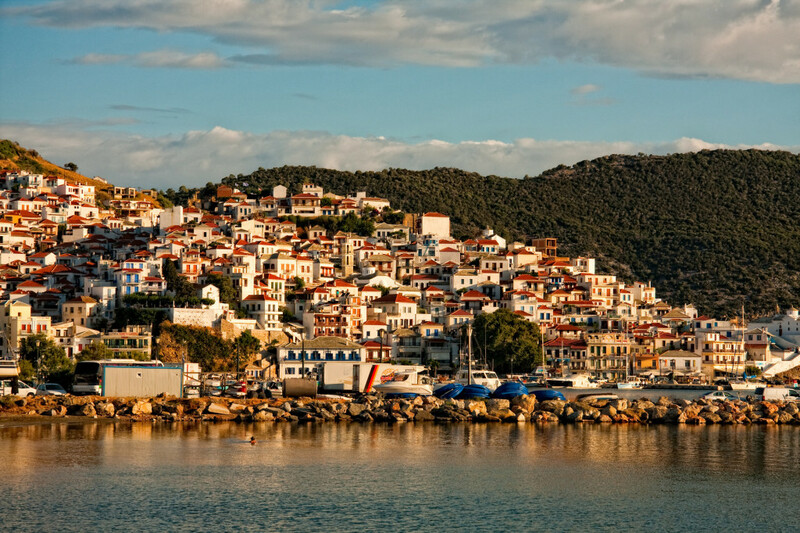 Skopelos’ town is amphitheatrically protected inside a bay. 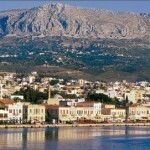 Its architecture combines influences by the Venetian, neoclassical and Aegean style. It features stone mansions, cobbled streets, white houses with red roofs and courtyards, a bustling waterfront, the old district Kastro (aka Castle), 120 churches and many many steps to move around and explore. Hill-top Glossa, on the other hand, is just as picturesque, with castle ruins, two-story houses and fantastic views. 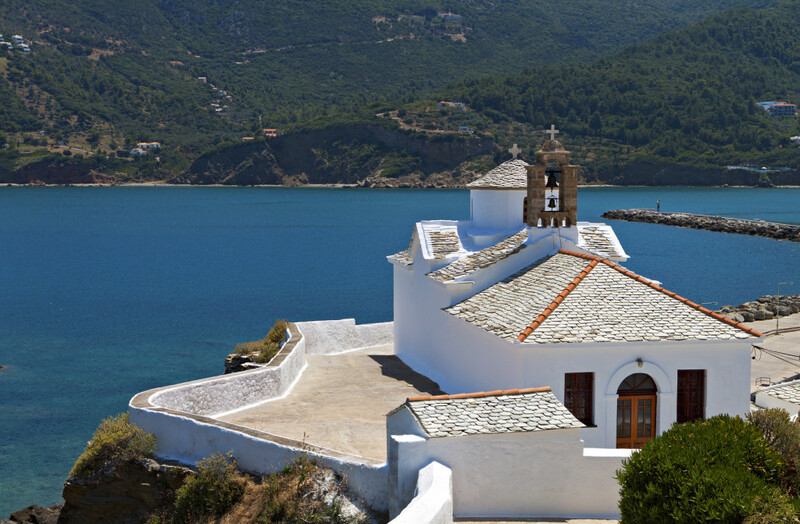 Images such as these might seem typical of Greek islands, but in Skopelos they become even more authentic, thanks to its down to earth, honest charm. 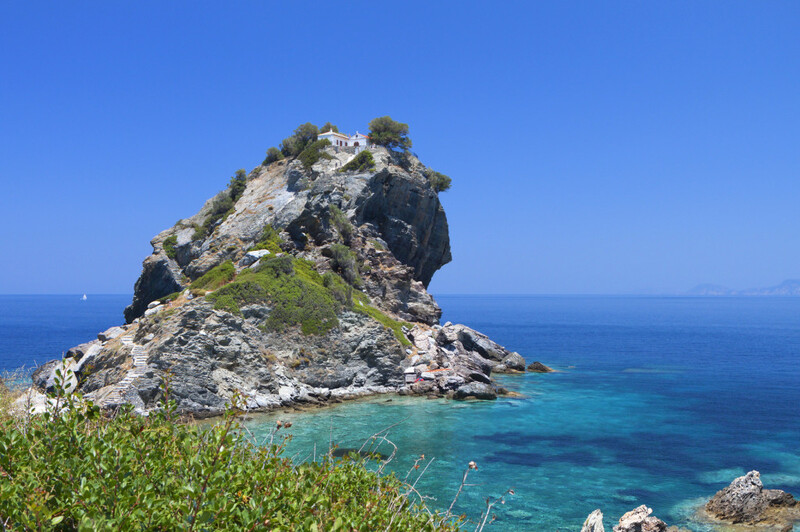 No text reviews of Skopelos exist. 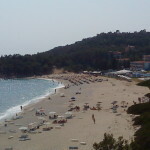 You can be the first one to review Skopelos.